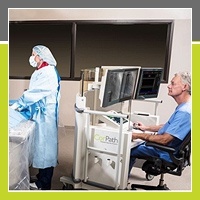 A first-of-its kind study using robotic technology to control coronary guidewires and stents reported on the feasibility of performing percutaneous coronary intervention (PCI) on patients with complex coronary lesions. Similar clinical outcomes compared to the PCI procedures performed manually were reported. 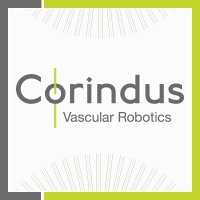 Results of the 18-month complex robotically assisted percutaneous coronary intervention (CORA-PCI) trial were presented as a late-breaking clinical trial at the Society for Cardiovascular Angiography and Interventions (SCAI) 2016 Scientific Sessions in Orlando, FL. Earlier this month, the Society for Cardiovascular Angiography and Interventions (SCAI) held their annual Scientific Sessions in Orlando, FL. 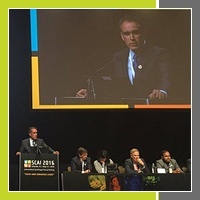 The meeting featured presentations and discussions on the latest clinical data in interventional cardiology and emphasized the mission to "Save and Enhance Lives." 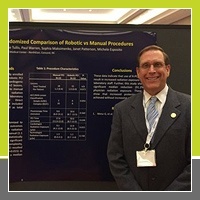 In a recent post on our blog we highlight recent data presented at SCAI 2016, most notably on robotics for complex PCI and cath lab occupational hazards. We are pleased to have recently announced the addition of two experienced leaders in the medical device industry to the Company’s management team. Doug Teany joins us as Senior Vice President of Research & Development and Operations while Nora Dutta will be assuming the role of Vice President of Human Resources. We welcome Doug and Nora to our team, and look forward to their many contributions as we enter this next stage of growth. Over the past 18 months there has been a surge of news highlighting incredible technological innovations around the globe. Many of those stories have one theme in common – they focus on major advancements in robotic technologies. Robots are continuing to develop and will help us to perform our daily tasks and set a new standard for how we live our lives. This same spirit of innovation is thriving in the healthcare community, including the cath lab where robotic therapy is being used to treat complex interventions.